I have just returned from a conference in Banff, Alberta called the Banff Western Connect. I’ll fully admit that I am a bit of a conference junkie. I love to learn. I love to network and I love to swap success stories with other brokers. At the end of the day I always walk away with valuable insights and ideas that I can bring back to my board or my office. This blog post focuses on the importance of on-line reviews. My latest brush with a review system came just a few weeks ago. I had to run into Loblaws for a few things. Everything ran smoothly. I grabbed what I needed, I self scanned everything, bagged and paid for my purchase and was in and out in 10 minutes. 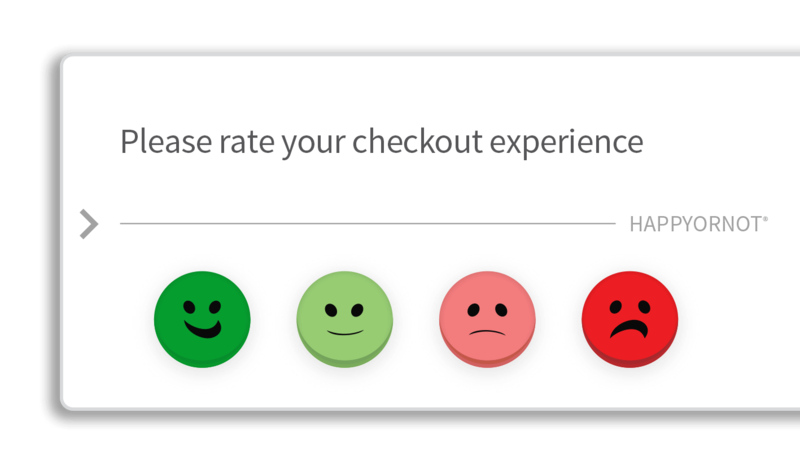 As I left the store there was a stand with a sign asking me to rate my experience by pushing one of four buttons. So I did. Because I found everything I needed and didn’t wait in line, I gave the highest rating possible. No fuss, no muss. But that simple button system does so much more than track your experience. Behind the scenes it is taking the simple data that the customer is inputting and adding on layers upon layers of data that already exists. Traffic in the store, time of day, weather conditions, number of staff on duty, etc, etc. All the data collected gets mashed together and helps the store deliver a better experience…and isn’t that the point of a review system? It’s not that much different in the real estate space. It’s probably not nearly as complex but the data is still valuable. Here is the problem however; the collection of data is so much harder to get. To really understand how a client enjoyed their real estate experience one needs more information than one can get by pushing a simple button. If I am really interested in knowing how I did I want to ask about a hundred different questions; Did I show up on time? was I knowledgeable about the market? did I answer questions clearly and affectively? The list goes on. The problem is that clients are not likely to sit through countless minutes answering questions about their experience. One quick solution is to whip out your handy smart phone and record the happy clients telling you how great you are or what an awesome job you did. On line agent reviews are a joke. The reviews don’t mean anything and because the reviewers are anonymous, anyone can write reviews including your friends (who leave great reviews) and competing agents (who leave bad reviews). On top of that, there is no business model that supports the financial an online agent review website. The unfortunate problem is that we live in an economy that relies on reviews and ratings. From the simple “like” button on Facebook to Yelp to Uber and AirBnB (where reviews go both ways). We know that 51% of Canadian Millennials surveyed say that online reviews, comments and feedback are the largest influence on their buying behavior, yet the flip side to the coin is that the internet has created a population of people with attention deficit disorder so those reviews have to stand out in order to be recognized and the process of getting that elusive five-star rating has to be quick and easy. I believe that over the next few years the key to success in any business will come from unlocking the keys to an honest, fast and easy rating system. Recently I took a trip to Iceland. I posted a ton of pictures from my trip and made a lot of positive comments about the country. Now my friends are messaging me about future travel plans there and want to know what places to go to, where to eat and stay. In effect my friends are looking for a referral of sorts. So, is it possible to create a review of your services that comes off as truly authentic, and trustworthy? From the start we know that real estate is a referral business, but once you get recommended, that potential client is going to check you out online to confirm that you are the real deal. This is where the one-two punch needs to happen. Recognize that you only have a few seconds to make the connection so testimonials and ratings need to be above the fold in order to work, not buried on an afterthought tab at the bottom. Mark McLean is the five-star Broker/Manager at the Bosley Real Estate Queen St W office, the Immediate Past President the Toronto Real Estate Board and a director at the Ontario Real estate Association. The opinions expressed here do not reflect the opinions of TREB, OREA or Bosley RE. ← How Important is Your Real Estate Brokerage to your Business?